Brum still in poverty 200 years on. What are we? Why do we act the way we do? Women’s rights in a male dominated world have always been important to me but until recently, I never understood why I am so determined to change things. I’d like to introduce you to two ladies. The first is Maria Bedworth who was born almost two hundred years ago, around October 1812 in Birmingham, the daughter of Thomas Bedworth and Ann Jeffries and the second introduction is to her daughter Selina Millard, born in Birmingham in February 1855. Their phenomenal struggle to survive the perils of Victorian England is the reason I write; without them I would not exist at all, as Maria is my great-great-great grandmother following the direct female line, and Selina my great–great-grandmother. 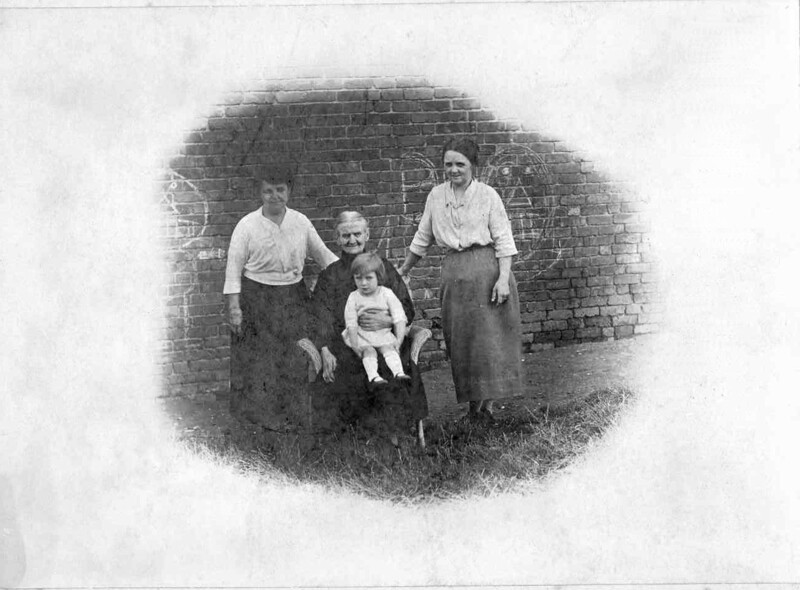 She is seated in this photograph taken around 1926, with my mother on her lap. David Cameron had stated that his goal is to defund and deconstruct the welfare state, to “dismantle big government and build the big society in its place”. His ambition is radical in the purest sense of the word, for it is a conscious attempt to turn the clock back to the historical period for which he feels the greatest affinity: the 19th century. Victorian Britain was a land of laissez-faire capitalism and self-reliance. Government regulation was minimal and welfare was left to charity. With little tax burden and low labour costs, industrialisation turned Britain into the workshop of the world and created a thriving middle class. The state helped promote and safeguard trade through a bullish foreign policy that created a consumer’s empire. In 1839, we even went to war with China to force the Middle Kingdom to lift its ban on imported British opium. The awful living conditions of those, such as Maria and Selina, led directly to development of the Labour movement and socialist groups in Britain (Tribune (4)). As a result, the path of my life has followed a very different path to those of my forbears. I am lucky. I was born and have been cared for under a National Health Service. I have had the benefit of a quality comprehensive school education leading me to a university degree funded by a grant. I have Socialist Labour to thank. 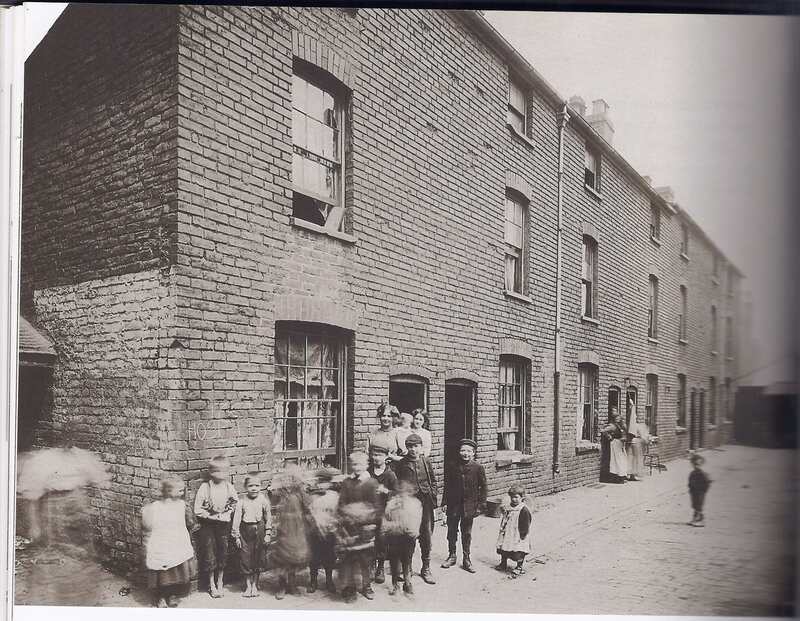 This photograph has the name Hospital Street chalked upon the wall. The irony is of course, that the institution referred to is not a hospital as we have come to know because of Labour’s NHS but a workhouse, in which Selina’s mother, Maria had lived, had given birth in and eventually where she died. How wonderful it would be to end to my story by reporting healthy, well fed children with bright prospects, living in comfortable homes, communities living in harmony, and full employment, in inner city Birmingham where Selina and Maria lived. More than one in three children in Birmingham are living in poverty with thousands believing they will never achieve their goals in life. A new, disturbing report from youth charity The Prince’s Trust revealed that in Ladywood alone around 49 per cent of youngsters lived in poverty – one of the highest figures in the UK. It highlighted the growing gap between the city’s richest and poorest with one in ten young people believing they will “end up on benefits for at least part of their lives” and 17 per cent feeling that “few” or “none” of their goals in life were achievable with those growing up in poverty more likely to feel that way. developing a Women’s Act that would enshrine women’s rights in policy-making and implementation. In August 2011, it was reported by the Daily Mirror and in the Guardian that unemployment for women in the UK is at its highest for 23 years since Thatcher was in power in Whitehall. It feels like the 1980s all over again in Birmingham. In 1985, Britain’s second-biggest city was embroiled in some of the worst unrest in its history, which left two people dead. Last Thursday, Birmingham residents laid to rest three young men who died during the rioting and looting earlier this month. The unrest of the 80s was caused by a recession that triggered the city’s economic collapse and an unprecedented surge in unemployment. The credit crunch may be over, for now at least, but figures released last week showed that unemployment has started to rise again across the country. Birmingham is feeling the pain as much as any other city – and in line with the rest of the country, women are bearing the brunt. Nationally, the number of jobless women has reached 1.05 million, the highest level since 1988. The unemployment rate among men remains higher, but the Office for National Statistics reports that much of the recent increase in redundancies has been among women. It is women who have been affected by the cuts of the Coalition government more than any other group. A higher proportion of women work in the public sector where cuts are being made. The cost of childcare is prohibitive and women are prevented from working because of the lack of affordable childcare. Think Left’s A Bold Approach to Childcare makes out the case for free childcare to provided for those who need it in order to work to avert child poverty, and to allow women to work. It is vital that women are given a voice by which they may become empowered in order to make a change to the system which has forced many women and families to live an unfulfilled life in poverty. Women as Voters and MPs by Think Left presents the inequalities in political representation which cannot be justified in a modern world. Harriet Harman’s 2010 Equalities Act, since amended by Theresa May (7), must be reinstated and strengthened to address the inequalities of women, of ethnic minorities and of other disadvantaged groups. These disparities in life chances are unacceptable in a civilized society. The Labour Party must reject the Neo-Liberalism which it continued to apply from 1997 onwards, taking on Thatcher’s mantle. The Labour Party must return to the socialist principles and policies which made a difference to the lives of people in Britain, and do so much more. The Labour Party must reach out to the people of this country, in the midst of unemployment, riots, poverty and homelessness. What we are facing is worse than we have known since the Victorian Times which David Cameron loves so much. That prospect must not be allowed to happen. Those who can speak up must now do so, and quietly grumbling just will not do. Every Child and every Person Matters. 8. 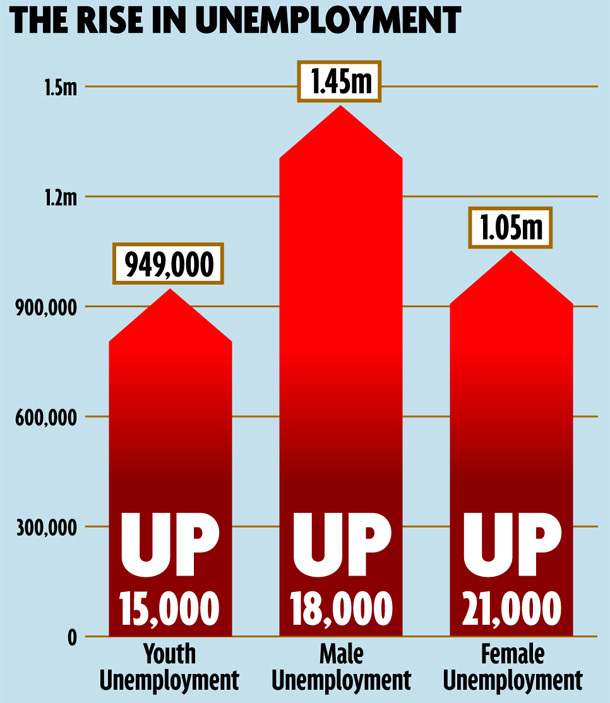 Daily Mirror, August 2011 Women’s unemployment. This entry was posted in Economics, Employment, Gender, Opinion and tagged Birmingham, Brum, poverty, unemployment, Victorian, women by Pamplemousse. Bookmark the permalink.